Janet E. Armstrong - Ward and Smith, P.A. Janet has broad experience in trusts and estates matters, including estate planning, probate of decedents' estates, estate and gift taxes, trusts and estates litigation, guardianships, and elder law. Janet regularly assists attorneys and clients with matters involving North Carolina Courts and the preparation of complex estate and gift tax returns filed with the Internal Revenue Service. 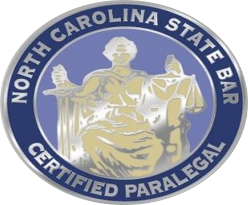 Janet is a North Carolina State Bar Certified Paralegal, has been a seminar presenter on the subject of probate in North Carolina, and has spoken with various paralegal student groups on trusts and estates law matters.